Our partner Paul Quain will be holding a webinar on the status and repercussions of Brexit for employment law with colleagues from France, Germany and the United States on 14 February 2019 at 4pm (GMT). Sign up here. We have previously written on the EU Settlement Scheme, which was agreed upon in principle by HM Government, led by Theresa May, and the EU in the draft Withdrawal Agreement as the basis for the treatment of EU citizens living in the UK (and UK employees employed elsewhere in the EU) following Brexit. As we now know, the Withdrawal Agreement deal was roundly rejected by Parliament on 15 January 2019 (despite the 18 months that it took to negotiate) and Mrs May is now making efforts to sell her ‘Plan B’ to MPs. Exactly what Plan B entails, and whether the EU is willing to agree to it, is not entirely clear at the time of writing. Neither is it clear which of the other options available to the UK (broadly speaking: no-deal, extension of Article 50, or revocation of Article 50) are politically possible or viable. What is relatively clear is that the Withdrawal Agreement was not rejected by Parliament because of the arrangements that had been made for EU citizens during the withdrawal period. Knowing this, and in order to provide some degree of certainty, the Government confirmed in a policy paper published in December that the UK Government will operate the EU Settlement Scheme even in the event of a no-deal Brexit, albeit with some crucial differences. Broadly speaking, the paper makes it clear that EU citizens and their families who are already living and working in the UK prior to Brexit will continue to be able to do so. 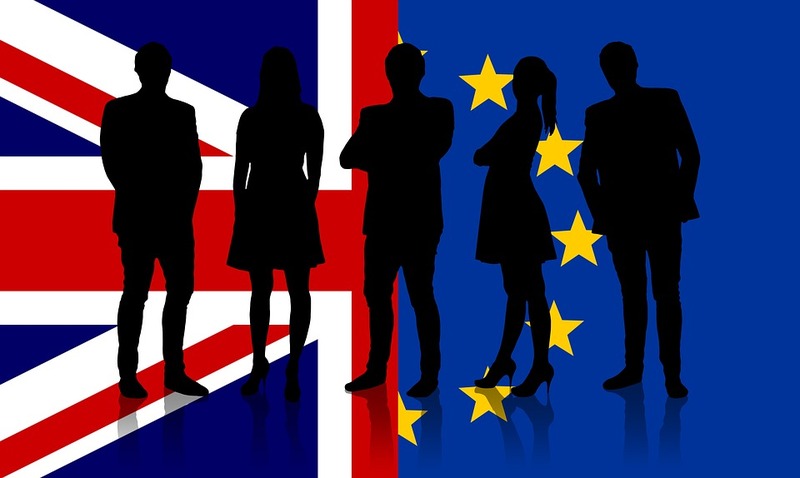 The EU Settlement Scheme as originally envisaged by the Withdrawal Agreement would provide EU citizens who are working in the UK prior to the end of the transitional period (i.e. 31 December 2020) and their families with a right to stay and work in the UK thereafter. Citizens who have lived in the UK for more than five years at the time of making the application will be able to apply for “settled status” – that is, the right to remain in the UK for as long as they wish (provided they are not absent for a period of five consecutive years). Citizens who have lived in the UK for less than 5 years will be able to apply for “pre-settled status” which will allow continued residence in the UK until they have been resident for five years, at which time citizens will be able to convert their “pre-settled” status into “settled status”. Under the Withdrawal Agreement equivalent provisions were also due to come into force in EU member states for UK employees who live and work in the EU27. The December policy paper makes it clear that, even in the event of a no-deal, EU citizens and their family members resident in the UK by 29 March 2019 will be able to apply for settled status or pre-settled status before 31 December 2020 in the same way as previously planned (thus proving our early prediction correct). The key difference, however, is that new EU citizens arriving in the UK during the period between 29 March 2019 and 31 December 2020 will, in most cases, not be able to make an application under the scheme in a no-deal scenario. Instead, they will be subject to the UK’s normal immigration rules. The key steps for employers to take will depend to some extent on the nature of their workforce. Practical steps might include i) undertaking an audit of the workforce to understand how many employees are potentially affected; ii) providing guidance and reassurance to EU citizens already in the UK that they will be able to remain even in the event of a “no deal” (subject to having made an application - the fee for which has recently been waived); and iii) considering whether any key EU staff who are due to relocate to the UK after March 2019 might instead relocate earlier to allow them to take advantage of the proposed scheme. Employment law more widely will not change in an instant on 29 March – even in the event of a no-deal Brexit, the European Union Withdrawal Act 2018 will transpose a body of retained EU law into the UK. This body of retained law will include both UK law that implements EU requirements and most directly-applicable EU law. In the long term, the UK would be free to diverge from the EU law position and so gradual changes may come into effect. There may be significant immediate impacts on certain specific areas of law, for example in relation to social security payments across the UK and EU and for international litigation post-Brexit. Both of these topics will be explored in more detail in our webinar on 14 February. All of the above is predicated on the assumption that, with or without a deal, the UK will leave the EU on 29 March 2019. Of course, if certain MPs have their way, Article 50 may be extended or revoked. The former is possible under the text of Article 50 itself, although the unanimous agreement of all 27 remaining EU states is explicitly required, whilst the latter has been confirmed as unilaterally possible by the European Court of Justice. As ever, it seems, we must wait and see.